Claude Puel welcomes Tottenham to the King Power Stadium, hoping to carry on Leicester’s recent good run of form. Leicester have quietly gone about their business since their less than impressive start to the season. The players have responded well since the tragic helicopter crash that took the life of their beloved owner and the Foxes are now looking like they could make a concerted effort for a Europa League spot. Spurs endured a blip in the North London derby that has done little to take the shine off what has been a successful season so far. That loss against Arsenal was only their second away from home in the Premier League and Mauricio Pochettino will be thinking that his side could get at least a point against Leicester. Leicester’s win over Watford was there first at home since the end of September and Claude Puel will be demanding more from his side over the Christmas period as they look to make a real push in the New Year. Goals have been hard to come by for the Foxes this season – and that could be their downfall against Tottenham. 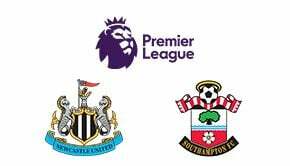 It looks like the top of the Premier League will be a real fight this season and if Spurs want to be involved in the chase for the title – or Champions League qualification at least – they need to be picking up points from games like this. Leicester are playing some nice football recently though so this could end 1-1. Leicester may not score a lot of goals at home but they don’t let in many either. The top betting sites might well be offering attractive prices for a draw here. Both these sides have only failed to score on one occasion in the Premier League this season. There may not be too many goals – but they will be shared. Leicester won this fixture 2-1 last season but will not want a repeat of the 2016/17 season match in which they went down 6-1 to a rampant Spurs side. Look out for Jamie Vardy to get a chance for a spot kick. The England striker has won 14 penalties in the Premier League, more than any other player. Harry Kane enjoys playing against Leicester City – he has scored in each of the last three matches between the two sides and has 12 in all games against the Foxes. James Maddison has been an excellent addition to the Leicester side this season but it is down the wings that a lot of their attacking play has come. Only Manchester United have delivered more crosses this season.